6x4mm. 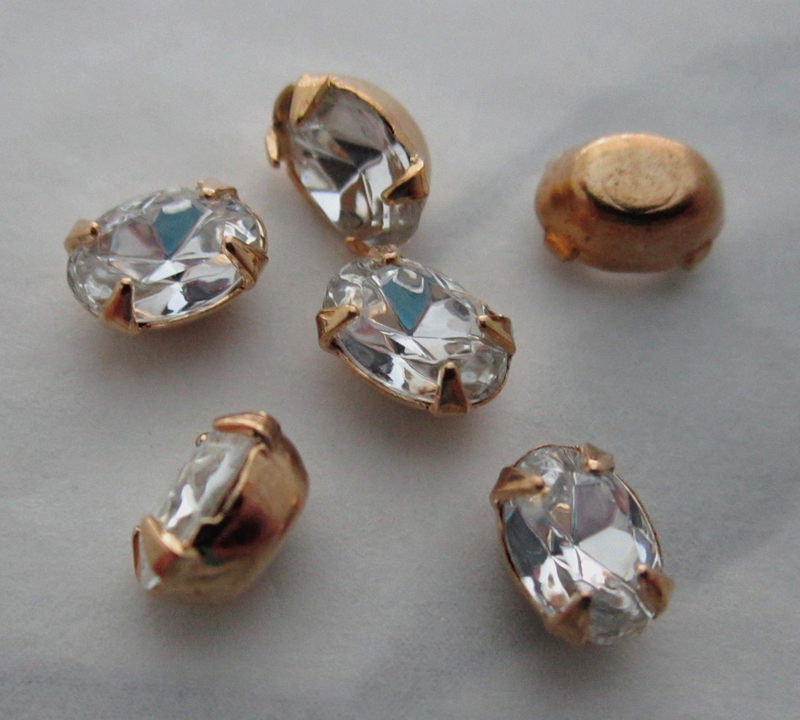 Vintage glass oval clear rhinestones in gold tone plated Settings. New old stock. Jewelry supplies.